“Your domestic pets, especially dogs and cats, are one of the greatest gifts humanity has ever received. We realize you sometimes take these delightful creatures for granted — just as you sometimes do your fellow humans. 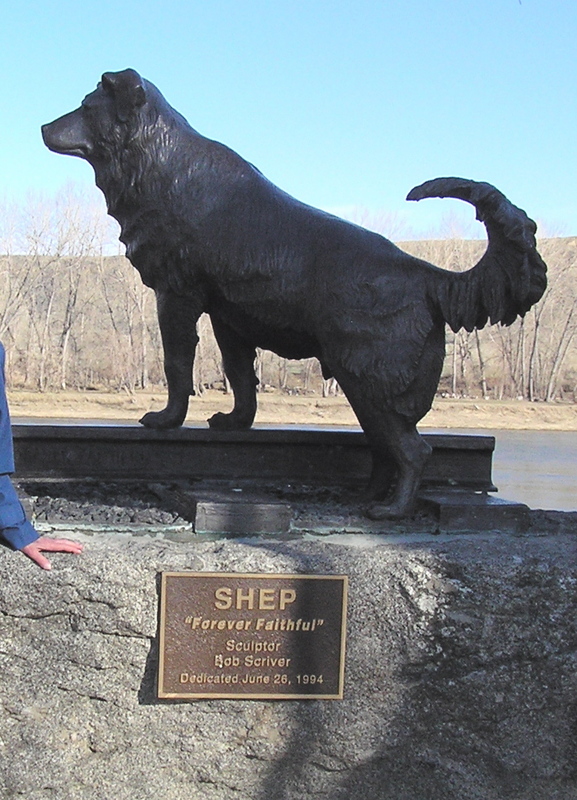 I know some of you have heard the story of Shep, a sheepdog from Fort Benton, Montana. Shep became a legend in his own lifetime. There’s a chapter about him in our book, Dogs: Heartwarming, Soul-Stirring Stories of Our Canine Companions. After Shep died in a tragic accident the people of Fort Benton gave him a proper funeral and an affectionate farewell. The Reverend Ralph Underwood, a local pastor, gave Shep’s eulogy. Reverend Underwood adapted his eulogy from a closing courtroom argument by George Graham Vest. Vest was a 19th century lawyer and a United States senator from Missouri. “The one absolutely unselfish friend that a man can have in this selfish world, the one that never deserts him and the one that never proves ungrateful or treacherous is his dog. “A man’s dog stands by him in prosperity and in poverty, in health and in sickness. He will sleep on the cold ground, where wintry winds blow and the snow drives fiercely, if only he may be near his master’s side. He will kiss the hand that has no food to offer, he will lick the wounds and sores that come in the encounters with the roughness of the world. He guards the sleep of his pauper master as if he were a prince. When all other friends desert, he remains. If you’re as much of a dog lover as I am, you’ll need lots of Kleenex® to get through this beautifully touching, true story. Do you have any memorable experiences with the dogs in your life? Or with any other animals? Please share your thoughts and comments with us below. This is awesom, John. Thank you for sharing! Thanks very much, Hans, for your kindness. Ah, John, you know I have so many. The shortest and most recent was taking my white, standard poodle to the vet for his last shot. He was old, and finally blind, and his legs didn’t work for him any more. Sometimes he didn’t know where he was, so would call out for me. We still had fun. I had to help him a lot. On the ride to the vet, I reminded him of the other two dogs that he grew up with that had gone before him. We talked about that, and I told him to go find them. They were waiting for him. The last thing he did after he gave me a kiss for the last time was to look straight into my eyes, like he used to when he could see, and a grin came on his face. I repeated that he should go find the other two dogs. He grinned again, and then was gone. As I drove home, I kept saying to him to go find them in my mind. The day was dark and stormy, and just as I was almost home, the clouds parted, a bright beam of sunlight came through along with a rainbow, and I knew he had found his pals. This lasted only a minute or two and then went away. They wanted me to know they were together. What others believe is up to them. This is my truth. Yes, I do know, Mikala. Thanks so much for sharing this beautifully touching story of LB. We truly never lose those we love.